Downstairs living room. Lots of light and access to outside. 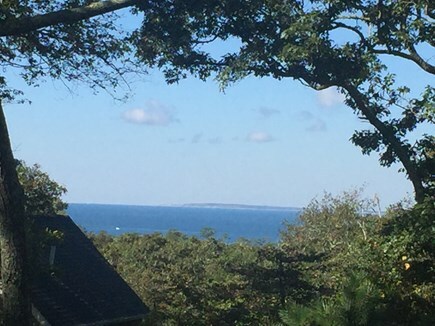 Enjoy stunning views of Vineyard Sound from this cozy three bedroom two bath home in a quiet neighborhood just minutes from Lambert's Cove Beach. This upside down house has one bedroom on the main level along with a full bath and open kitchen, dining, and family room. The downstairs has another living space, two bedrooms, laundry room, and full bath. Enjoy family time in the open upstairs with water views, or retreat to the lower level living room for some separation, quiet time, or work space. Amenities include a dishwasher, washer/dryer, Internet, a BBQ grill, and an outdoor shower. 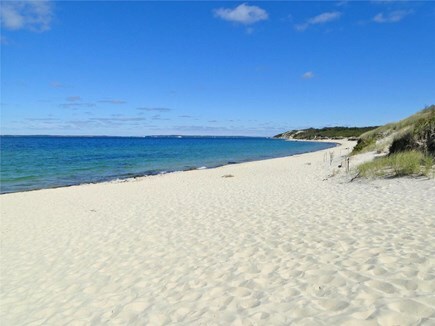 The house is located 9/10 of a mile from beautiful Lambert's Cove Beach. We provide a walk-on pass with your stay, and you may also choose to purchase a parking sticker for the beach. You might also enjoy exploring the trails around Duarte's Pond located a short walk (less than 1/2 mile) from the house. Additional pricing info: $300 cleaning fee in addition to weekly/nightly rate, State and local taxes of 5.7% will apply. My husband and I recently purchased this home and spent our nights and weekends pouring our hearts and souls into updates and renovations. We take great pride in our home and find joy in sharing it with others who will treat it with respect and enjoy it as much as we do. We have lived on the island year round for 9 years and both vacationed here as children. We are accessible to our guests as needed, yet completely respect your privacy. Our contact with you is on an as-needed-basis. Please let us know how we can assist you and make your stay as comfortable and enjoyable as possible. 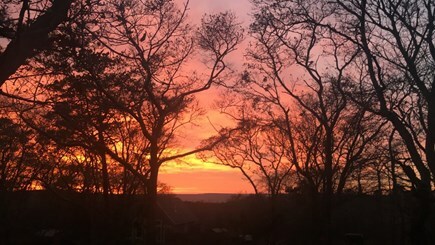 The house is located in West Tisbury which puts you close to the Farmer's Market, Alley's General Store, new town library, and Lambert's Cove Beach. 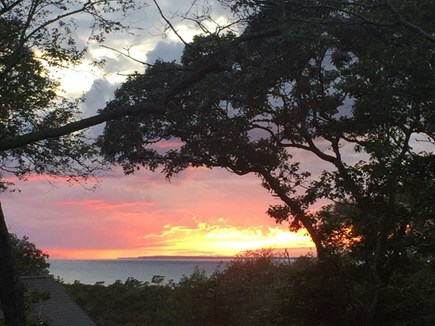 The beautiful Lambert's Cove Beach is an island treasure that is only available to residents and tenants of West Tisbury. We provide a walk-on beach pass for our tenants. Beach parking passes are available for purchase through the town.